We would love to be able to tell you more about our future ministry in person, on the phone or over Skype. Just give us a shout out if you have any questions. NOTE: we have changed our blog address. Starting on 12/30/18 we will be using haretranslation.com instead of haretranslation.blogspot.com. Soon, I will begin to forward links from this page to the new one. Dave and Stacey Hare met at The Master's College in Santa Clarita, CA. They then went on to the Southern Baptist Theological Seminary in Louisville, KY where they each received their MDivs. 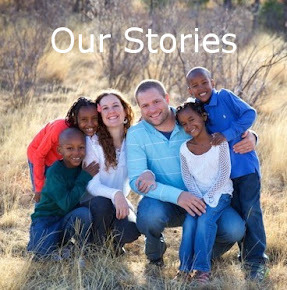 Also in Louisville, they adopted four kids from Ethiopia. Their first term on the field they spent learning French and Bakoum. For their first home assignment they each received a Master of Arts in Applied Linguistics, Bible Translation from the Graduate Institute of Applied Linguistics. They currently live in Cameroon, Africa where they serve as Linguists/Bible Translators among the Bakoum (aka Kwakum) people. We have recently become a partner of this great organization. Check them out!